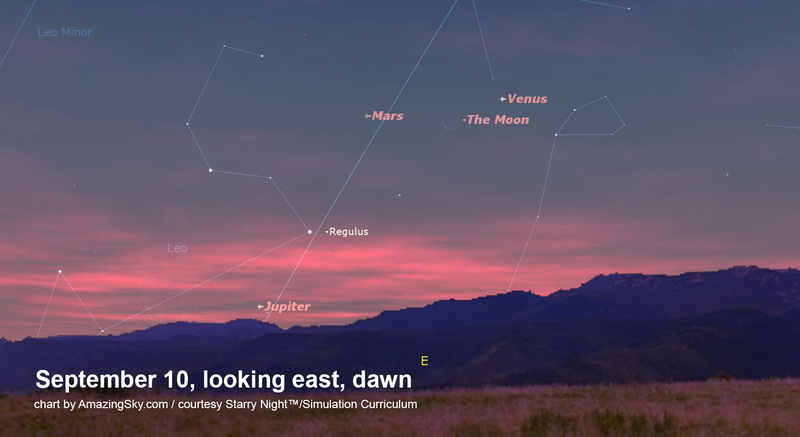 Look east at dawn on September 10 to see the first in a series of planet dances in the dawn sky. Earlier this year in spring we had Venus and Jupiter blazing in the evening western sky. Now, after a time of retreat behind the Sun, they are emerging to repeat their show together but in the dawn sky. However, Venus and Jupiter won’t be close together until the end of October. Until then, Venus and Jupiter slowly converge in the dawn sky, but now accompanied by dimmer but redder Mars. On the morning of September 10, look east before sunrise to see the waning crescent Moon shining between Venus and Mars. Binoculars will frame the Moon and Venus, or the Moon and Mars, but not all three at once. If your horizon and sky are very clear you might spy Jupiter as well shining down below the trio in the bright morning twilight. 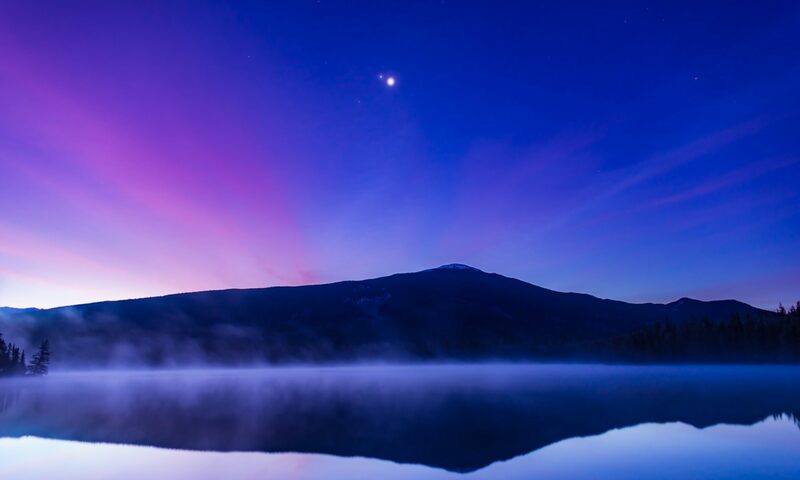 The real dawn dance begins in mid to late October, when first Mars, then Venus passes Jupiter, and all three worlds cluster in a tight triangle in the morning twilight. A photo of the real thing is at my Flickr site at https://flic.kr/p/ysjG3H Thanks!